Former world No. 1 Andy Murray has pulled out of the Australian Open after failing to recover from a hip injury, according to tournament organizers. Former world No. 1 Andy Murray has pulled out of the Australian Open due to hip injury. Former world No. 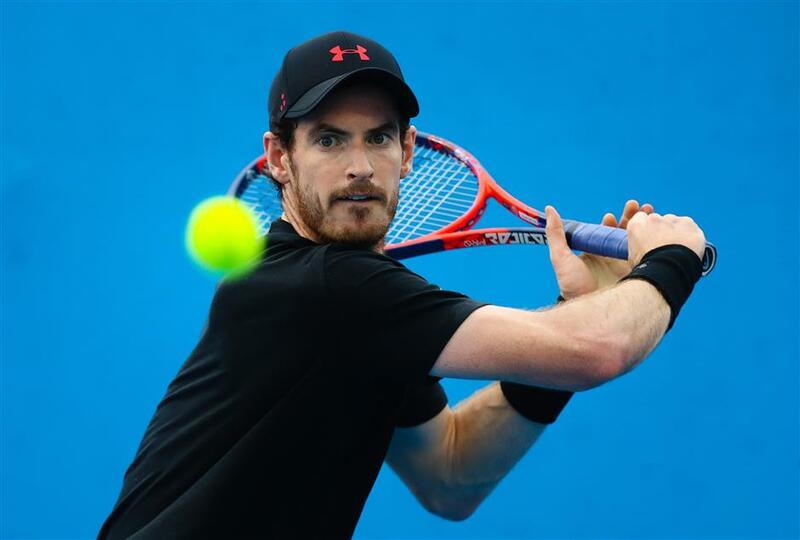 1 Andy Murray and Japan's Kei Nishikori pulled out of the Australian Open on Thursday as a host of top names battle to be fit for the year's first grand slam. Murray, 30, had failed to recover from a hip injury sustained last year and has not played since losing in the Wimbledon quarterfinals last July, while Nishikori has been on the sidelines since August due to a torn tendon in his right wrist. "Sadly I won't be playing in Melbourne this year, as I am not yet ready to compete," the three-time grand slam champion Murray said in a statement. "I'll be flying home shortly to assess all the options but I appreciate all the messages of support and I hope to be back playing soon." Australian Open tournament director Craig Tiley said he respected what was a "very hard decision for Andy." The loss of the Scot, who may now opt for surgery on his hip, came with injury clouds hanging over a who's who of stars before the Open begins on January 15. World No. 1 Rafael Nadal and six-time Australian Open champion Novak Djokovic remain huge doubts having yet to play a competitive match this year. Former world No. 1 Novak Djokovic has not played since a right elbow issue forced him to quit Wimbledon in the quarterfinals. "Novak is travelling to Australia where he will take part in two exhibition tournaments," said a statement on 12-time grand slam winner's website early on Thursday. "After the two events, the decision will be made about his participation." World No. 8 Jack Sock joined the growing injury list when he injured his hip at the Hopman Cup in Perth on Tuesday. Former champion Stan Wawrinka and Canada's Milos Raonic are also returning from injuries but intend to play in Melbourne. On the women's side of the draw there are question marks over the fitness of defending champion Serena Williams, who has not played competitively since giving birth four months ago. And British No. 1 Johanna Konta, a semifinalist in Melbourne two years ago, retired from her Brisbane quarterfinal on Thursday with a right hip injury and was not sure if she would defend her Sydney International title next week. "Hips take a massive beating," Konta said. "Obviously, our game is becoming more and more physical and the demands of the tour as well, week-in and week-out, is becoming more demanding." Earlier in the week, Wimbledon champion and world No. 2 Garbine Muguruza was forced to retire at Brisbane with severe leg cramps, though the Spaniard two-time grand slam winner on Thursday accepted a wildcard to play in Sydney. Asian No. 1 Nishikori said his rehab had been "going well but I am just not ready 100 percent to come back yet in best of five set matches."